Jadau Jewellery owes its name to the exquisite craftsmanship that was brought by the Mughals and now forms a rich heritage of India. Jadau is primarily an engraved jewelry work. Jadau has been particularly practiced in Western Indian states of Rajasthan and Gujarat since the Mughal rule. 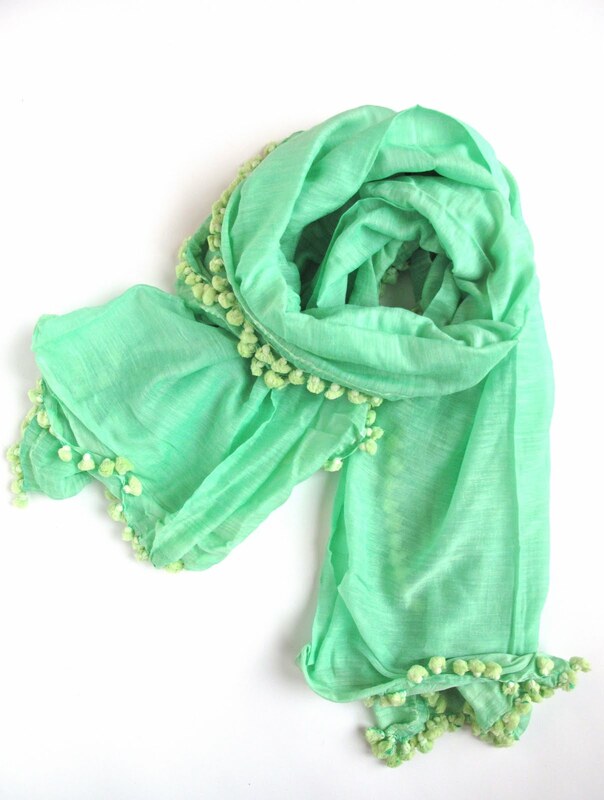 It is worn particularly during auspicious occasions and events like marriages, engagements. 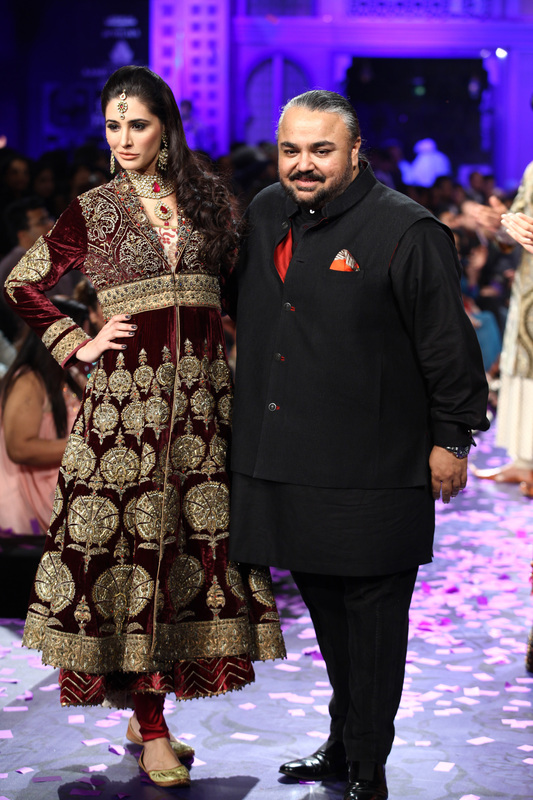 Jadau is much in vogue till date and has dominated Indian ethnic ramp shows in recent times due to its opulence and grandeur. It is said that making Jadau jewellery using diamonds (Kundan and Polki work) and Meenakari was the original handicraft of Bikaner. 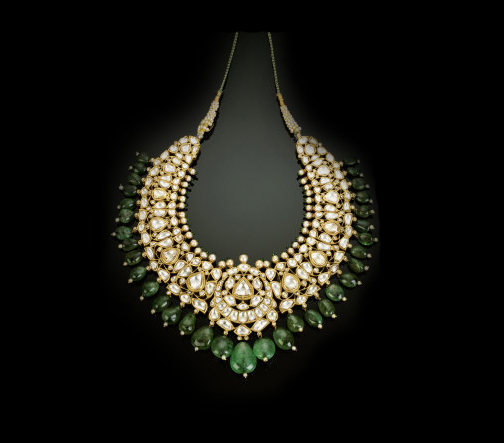 Also, it is the oldest handwork jewellery practiced there since the time of the Mughals. Although the modern hubs of Jadau are in Ahmedabad and Jaipur, Bikaner has always been associated with Jadau as being the area where this craft perpetrated to different regions. Bikaner has the distinction of being the only place where Jadau work can be done on 24 carat gold. The city boasts of a strength of fifteen thousand skilled Jadau artisans. 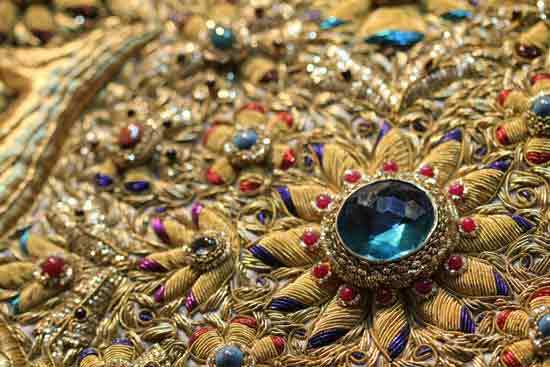 Jadau was worn by the royalty and the Mughals, and this craft was patronized by a lot of Maharajas and Maharanis in Rajasthan, along side the Mughals and is now immensely popular amongst the present generation. A lot of credit for the popularity goes to Bollywood movies in which female protagonists are seen sporting Jadau jewellery with traditional ensembles. Even though Jadau was introduced by the Mughals, the modern form of the craft has been perfected by Indian artisans. They incorporated their skills by embellishing the jewelry with precious and semi precious gems and crystals and embedding it in gold. 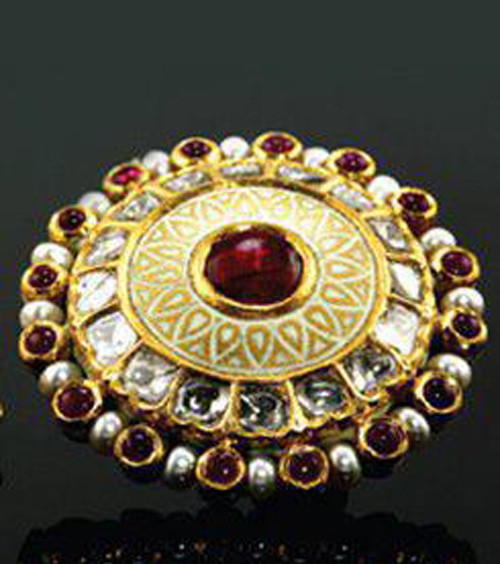 Polki, Vilandi, Kundan and Meenakari are some innovations of the original Mughal Jadau jewellery. Jadau, apart from being the name of a craft is also the name given to jewellery craftsmanship. It requires a team of jewelers to achieve and perfect the process, as each is entrusted with a particular task. For instance, the ‘Chiteria’ are responsible for creating the design; the ‘Gharias’ for pinning holes and the engraving; the ‘Meenakar’ is then responsible for the enamelling or Meenakari and then the goldsmith is then responsible for the kundan work and the gold framing. Hence Jadau is known as a combination of three distinctive crafts: Diamond inlay, Kundan and Meenakari, which have been added to the original Mughal art of Jadau to give it an Indian flavour. Jadau is not only performed upon jewelry pieces but it is also used to embellish idols of gods and goddesses, exquisite show pieces as well as jewelry boxes. Jadau jewellery is normally crafted in 23 carat gold as the Meenakari and diamonds appear to be more lustrous in that particular hue of gold. 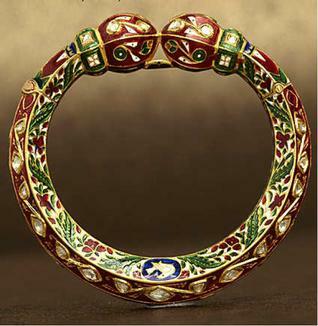 If Meenakari in Jadau looks dull and unadorned, then the reason behind that is the gold, which is less than 23 carats. Therefore, a lot of Jadau jewellery which is crafted in 22 carat gold does not have Meenakari on the back side, as it adds to the dullness. 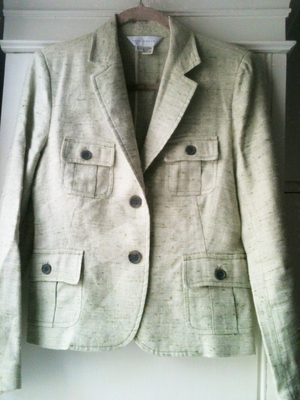 Jadau can only be made in gold, as it is malleable and easy to work with. Since the early times, only 22 or 23 carat gold has been used to make Jadau jewellery. Each Jadau jewellery piece has a name such as ‘Tewata’ or ‘Timaniya’ (Necklace) ‘Bangari’, ‘Gajre’, different type of ‘Kare’ which are used by both males and females. The Peacock-inspired designs are also from Jadau traditional motifs. 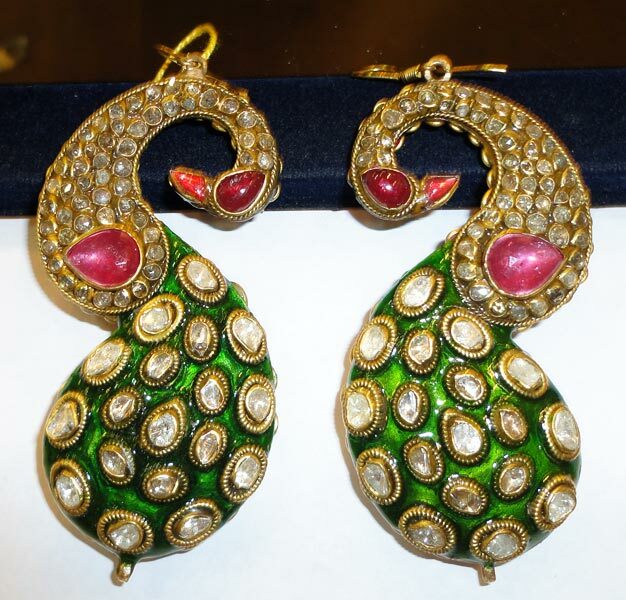 There is an expanding market for Kundan Jadau jewelry. This is because craftsmen have lent it some contemporary styling in order to cater to the young generation’s preferences. The traditional Jadau jewelry pieces were quite big and chunky initially, but these days one can easily find a simpler and subdued piece to cater to one’s personal taste and preference. In fact, there is a growing demand for Jadau jewelry in overseas markets, particularly among the Indian diaspora.